You will need: Comfortable clothes for moving, jazz shoes, long hair pulled back, bagged lunch, water bottle and a snack! Description: Do you love musicals? Ever dream of singing, dancing and acting on the big stage?Then this camp is for you! 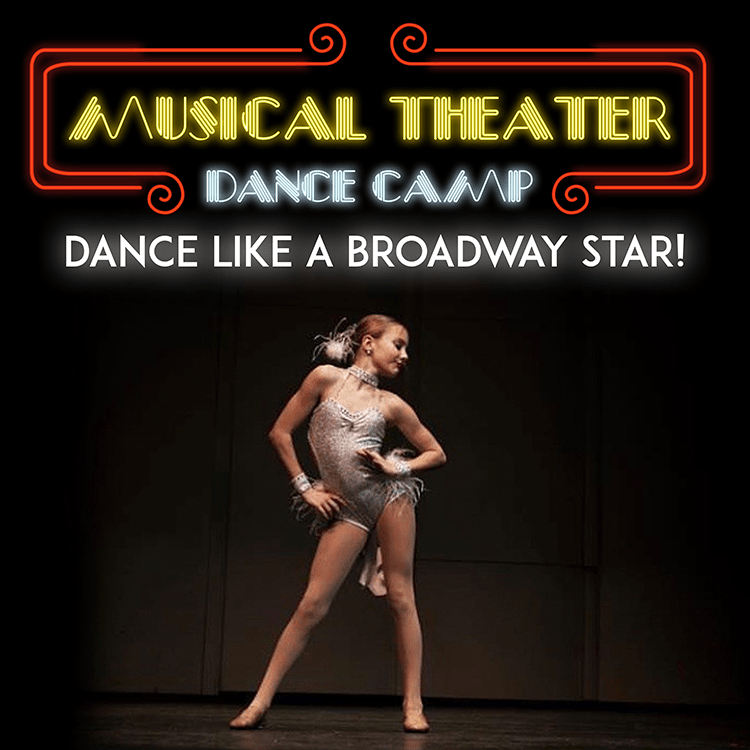 We will work on important dance techniques for musical theater performers, develop our acting skills and put together a performance of a medley of our favorite Broadway hits to perform for friends & family at the end of camp! You will need: Comfortable clothes for moving, clean sneakers, long hair pulled back, water bottle and a snack! Description: This wildly popular game has people all over the world trying fun and creative dance moves. 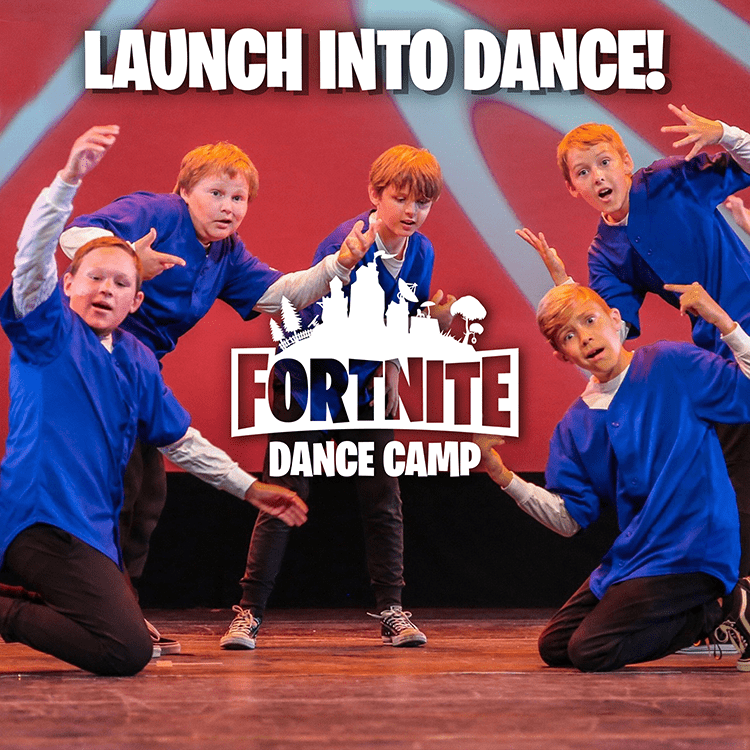 In this camp we will develop our hip hop technique play Fortnite inspired movement games and create a performance made up of some of our favorite dance moves plus new ones to show off to our friends and families at the end of camp! 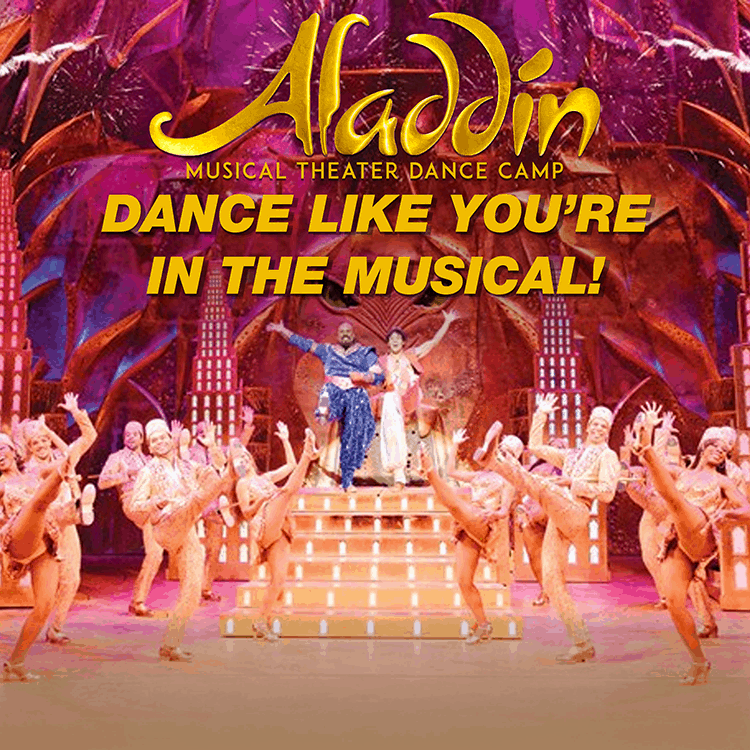 Description: Enjoy four Arabian days of this exciting musical theater camp inspired by the magical adventures of Aladdin. We will work on musical theater dance technique, make our own magic carpet prop and put on a special performance for friends and family at the end of camp! 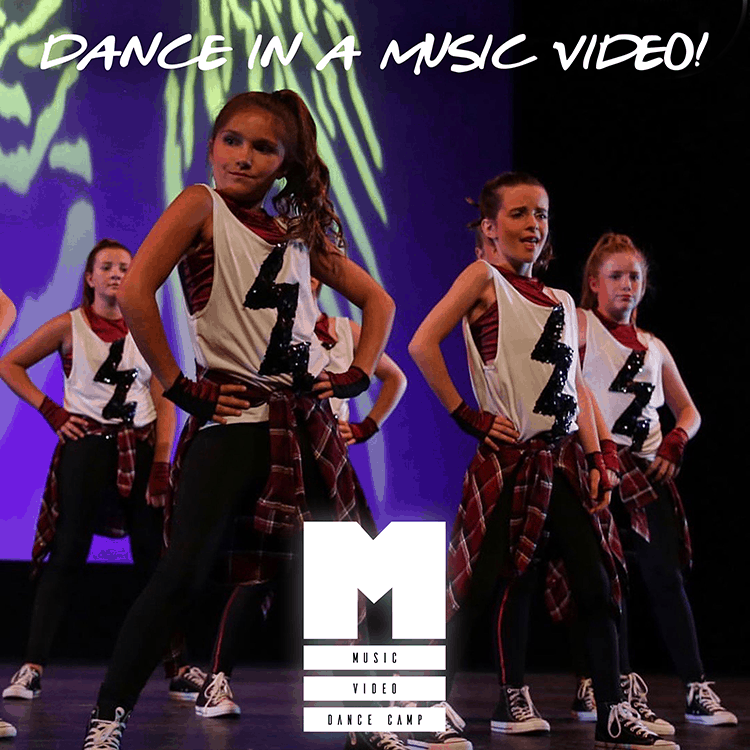 Description: This camp is for dancers who want to improve their hip hop technique and explore their own movement and choreography! We will learn combinations in different styles of hip hop, analyze performances by our favorite choreographers and learn skills for creating our own dances! At the end of camp we will put on a show made up of our camper’s own work! Description: This crowd-favorite musical and movie is sure to be a hit this summer! 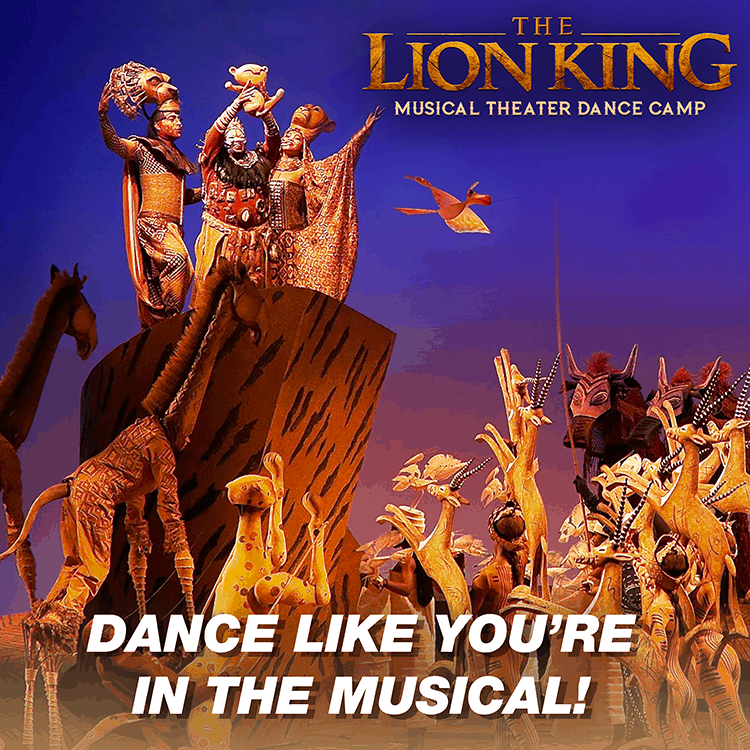 Join us as we sing, act and dance to the famous soundtrack, explore movement inspired by the animal kingdom and create props to help us put together an awesome show for friends and family at the end of camp! Description: Come be a piece of our I ego set! This camp will encourage dancers to think of their bodies as blocks and tools to create awesome shapes and dance outside the box. 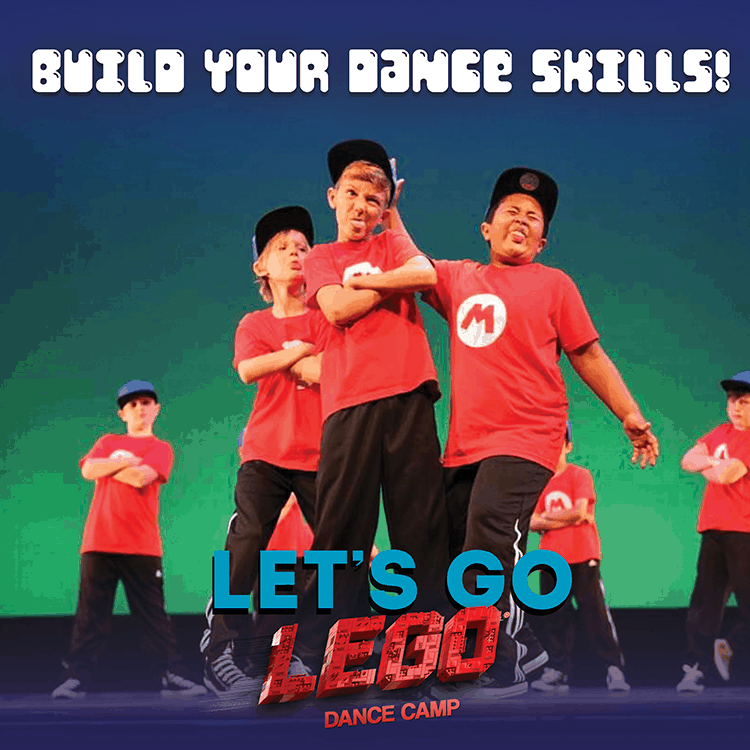 We will also learn a dance set to the soundtrack of the new Lego movie to perform for friends & family at the end of camp! 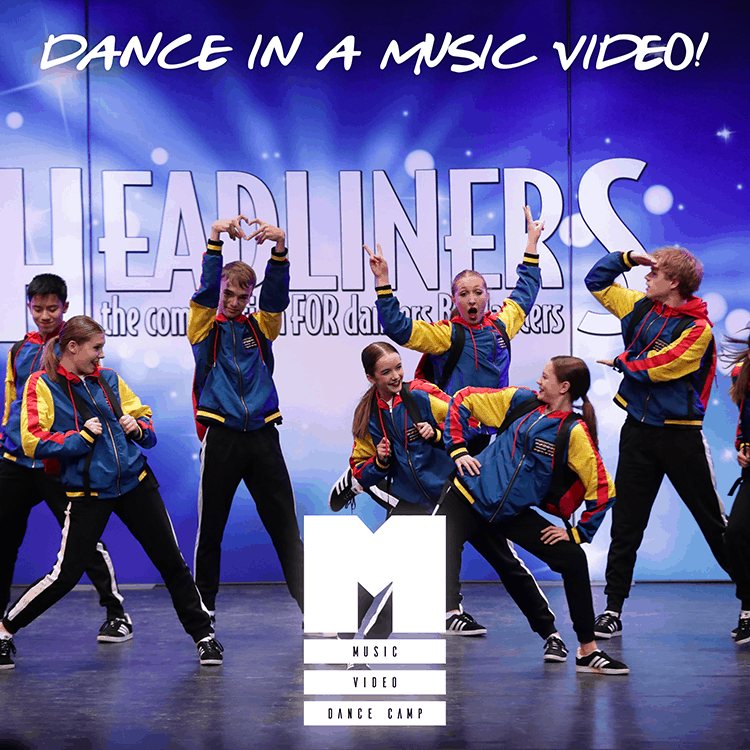 Description: Ever wonder what it’s like to be a professional dancer in a music video? 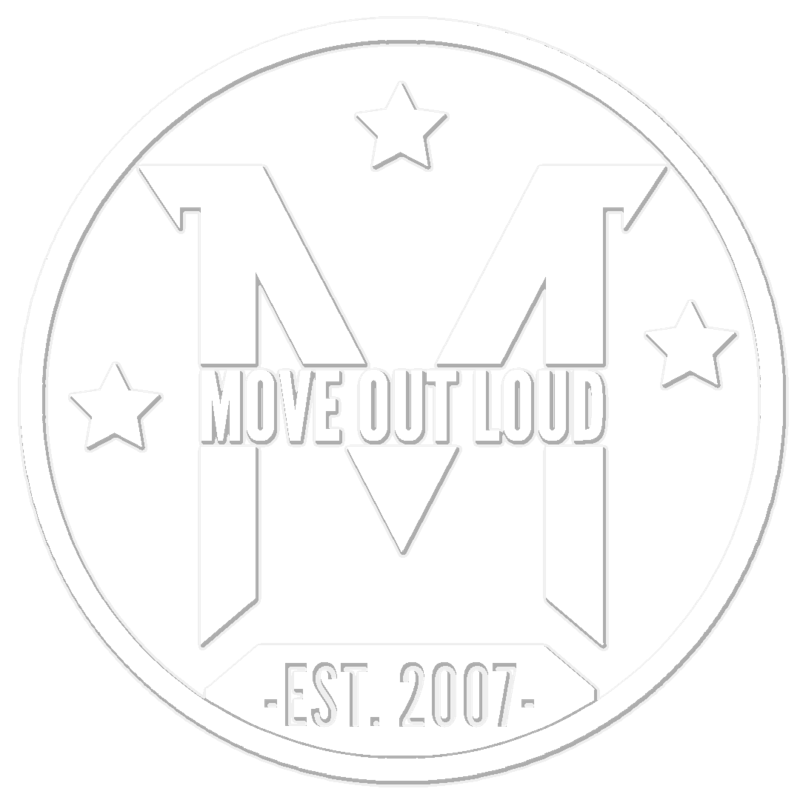 In this camp we will explore hip hop choreography and technique, learn about performing for the camera and shoot a music video to be shared with friends and family at the end of camp! Description: This popular movie has been turned into a musical and we couldn’t be more excited! 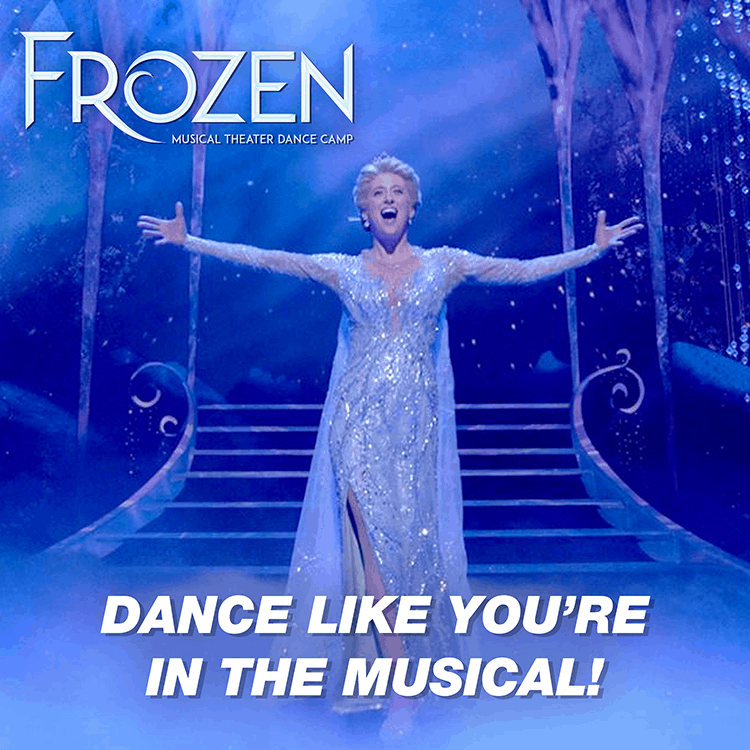 In this broadway inspired camp we will act, sing and dance to our favorite Frozen songs, make crafts inspired by Elsa and put on an icy show for family and friends at the end of camp! You will need: Comfortable, tight fitting clothes for moving, jazz shoes, long hair pulled back and a bagged lunch & snack. Description: Join us as we shake our pom poms and cheer on the summer! 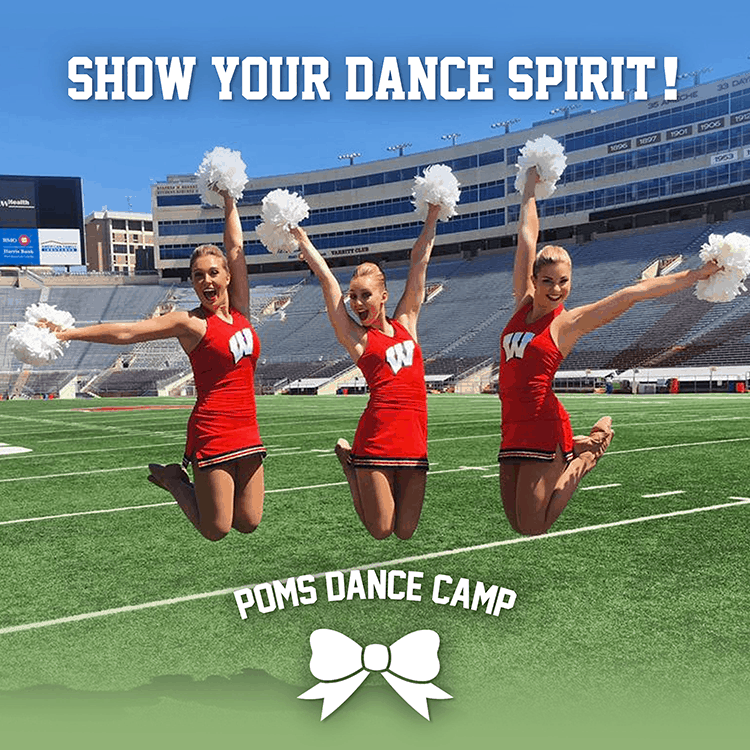 Learn pom dance team technique, games and a fun and energetic routine to perform for friends and family at the end of camp!